Sometimes picking a Christmas gift is quite a hard task, especially when the person you're buying for is fussy or already has everything you can think of! 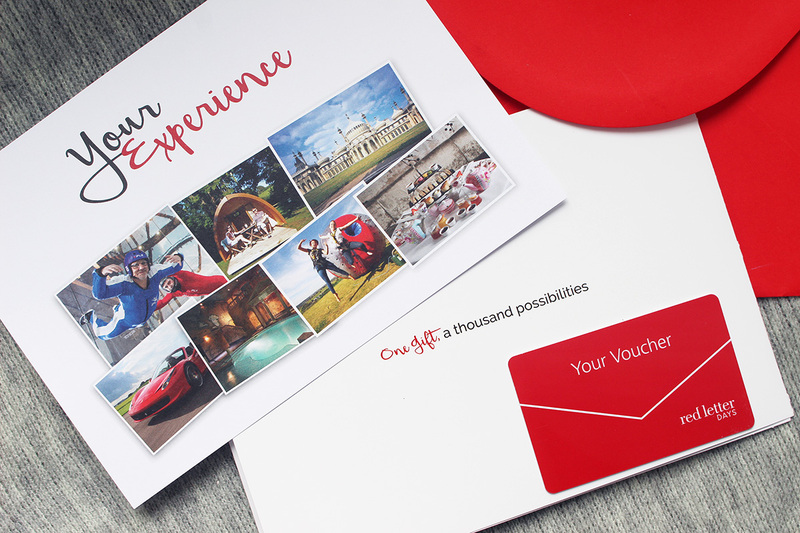 That's why gifting experiences is a great idea and the Red Letter Days gift vouchers are one of the options in this case. I was kindly sent a gift voucher for a Deluxe Two Night Hotel Stay With Breakfast, but the opportunities are endless. There is a big selection of activities for those who like the outdoors, spa day packages for a bit of pampering, luxury hotel stays, fancy dinners, theatre breaks and more. There is something for everyone and every budget, as some of the experiences start at around £20 for a lovely afternoon tea or dinner for two. We don't have anything specific in mind yet, but I think we will opt for a hotel just outside of London, so we can hop on a train to the big smoke for some fun. Alternatively, I am considering a quiet weekend in Scotland for some relaxation. With occasions like Christmas in mind, Red Letter Days offer a variety of themed gift boxes, which takes all the hassle out of festive shopping. You can opt for a specific theme, but there's also simple gift vouchers which you can use against any RLD purchase on the website. Do you like receiving this kind of gift for Christmas?